My boys are too young to know much about sports, but they do have an eerie sense for knowing when my interest in what’s on TV has intensified. Something in their childhood instincts alerts them that Daddy wants to watch the game, and they know it’s time to go feral. My sports season runs from fall to spring, headlined by football and basketball and seasoned with a sprinkling of hockey. Summer has its baseball, and occasionally the Olympics, but those don’t get me psyched up to watch them on TV, which is why my kids are relatively quiet during this period. Daddy can watch all the reruns and reality shows he wants in peace. As it turns out, he doesn’t really want to watch any. The baby was born in spring, at the end of the sports season. Until recently, he has been a remarkably quiet, contented infant. Through the whole summer, he has been all smiles and giggles. His deep thoughts have been interrupted by tears only for the most sensible reasons. That was the off-season baby. With these new wide-screen TVs it’s almost like you’re right there at the game. When I sat down to watch the first big football game of the year, the baby’s long-dormant sensors fired. Suddenly, I had a loud and proud infant, in mid-season form. He began to whoop and holler, cry and whine, like the most notorious of his breed. Then came the four-alarm diaper blowout. His big brother joined him in his antics, putting on a show of his most distracting and annoying behavior. The normal consequence of this display would have been for him to go to bed early. On this evening, early would be in the middle of the second quarter. I’d have to endure him until halftime. Halftimes are too short for parents battling the delaying tactics of preschoolers at bedtime. From having to pee, but not until after several minutes of standing at the potty, to trouble with the tooth brush, everything took longer than the eons it takes at normal bedtimes. Of course, the book he selected for his bedtime story was a nice thick one, with paragraphs and everything. Third quarters are overrated anyway. At least I didn’t have to put the baby to bed. Mommy would see to that, when he was good and ready to settle down and be put to bed. For the time being, he was really into this football game. His passion was so intense that his deafening crying could hardly be eased by either parent. Eventually, the baby wore himself out and accepted the call of slumber. I think the game was over by then, but I find it difficult to remember. I don’t remember much about the game at all. I hope my boys grow up to be ardent sports fans. Enjoying sports may eventually grow to become an experience that we can share. More importantly, when I am old and senile, and no longer know or care who’s playing, I plan to cling to just enough reality to go to their houses during Super Bowls and Final Fours and blow up my Depends undergarments like Armageddon. My problem may be that I am not enough of an imposing figure. 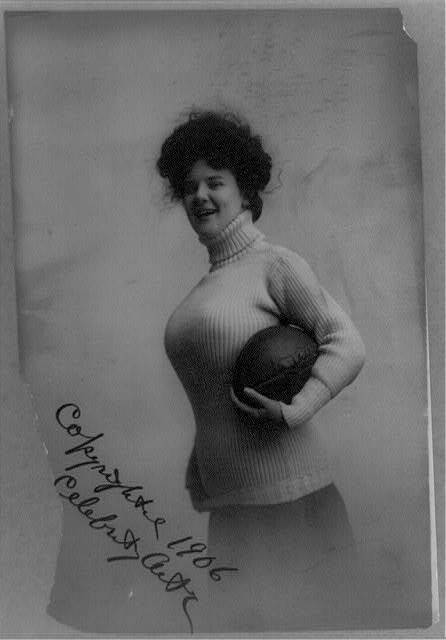 Nobody gives Big Bertha any guff when she tells the fellas to simmer down so she can watch the ballgame in peace. This entry was posted in It's a Guy Thing and tagged babies, children, Depends undergarments, family, fatherhood, football, humor, parenting, sports. LOL! Last year, Gage’s first full fall, I gave up football (notice I said I gave up football, not we. That would have included Jason). This year I decided that a day of football wouldn’t ruin Gage for life.